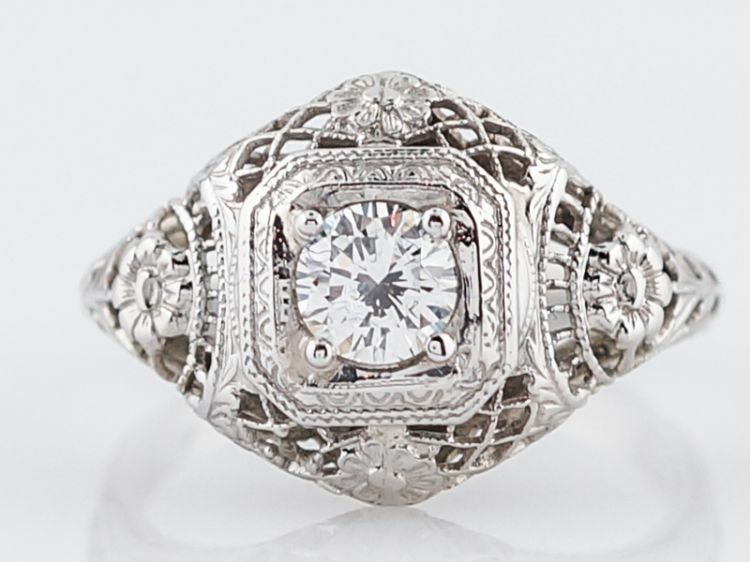 This vintage engagement ring from the retro era achieves a dynamic appearance by setting round cut diamonds in a setting with angular shapes. 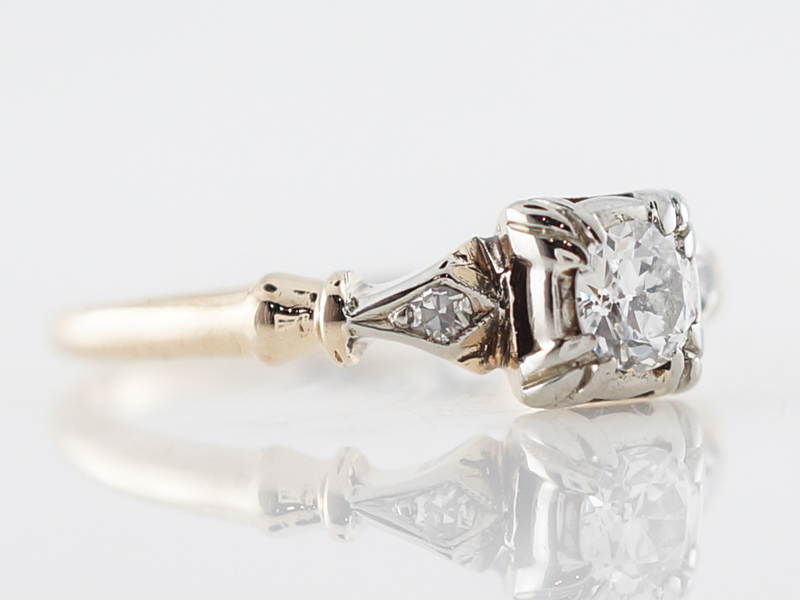 This piece holds a .29 carat transitional cut diamond at it’s center and on either side is a single cut diamond for a delicate accent. 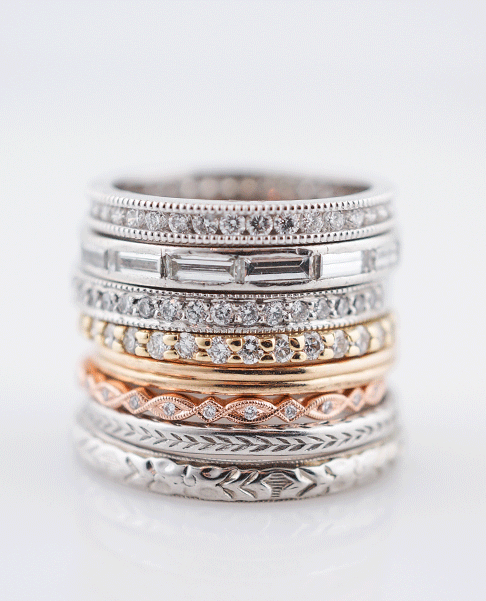 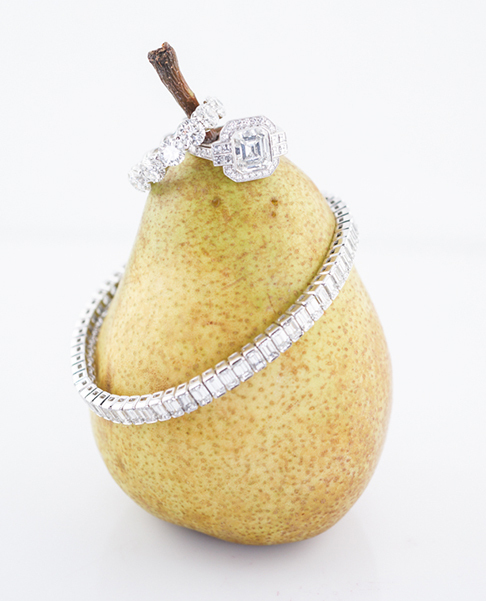 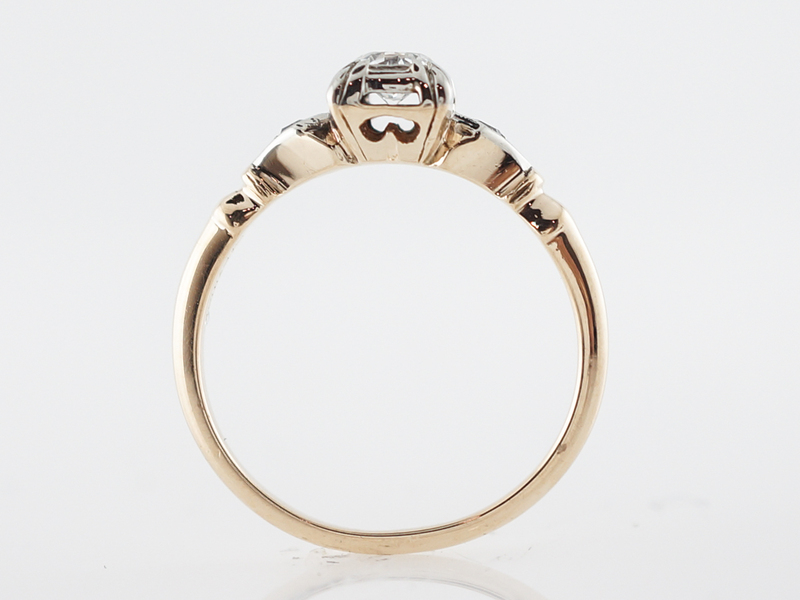 The ring also offers the versatility of a two tone look with 14k yellow and 14k white gold. 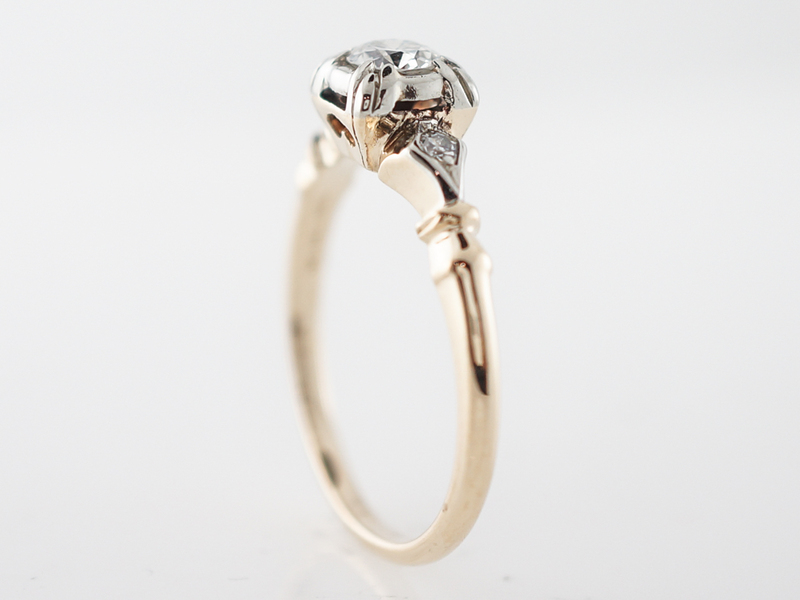 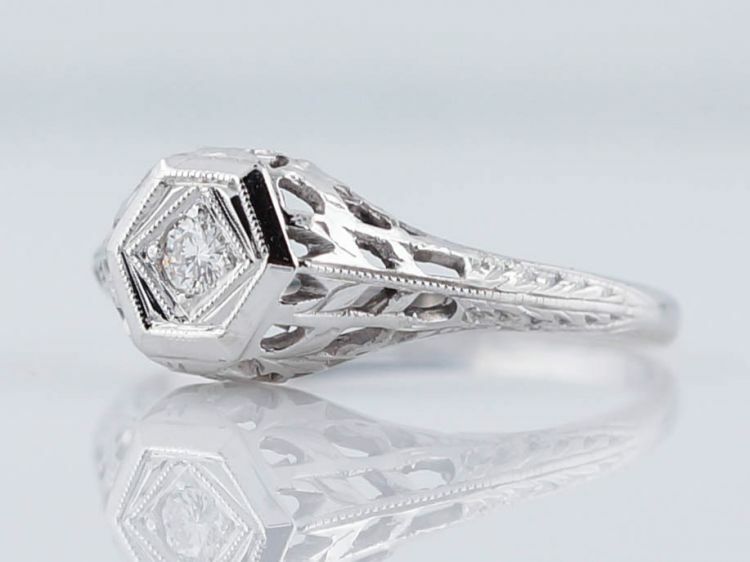 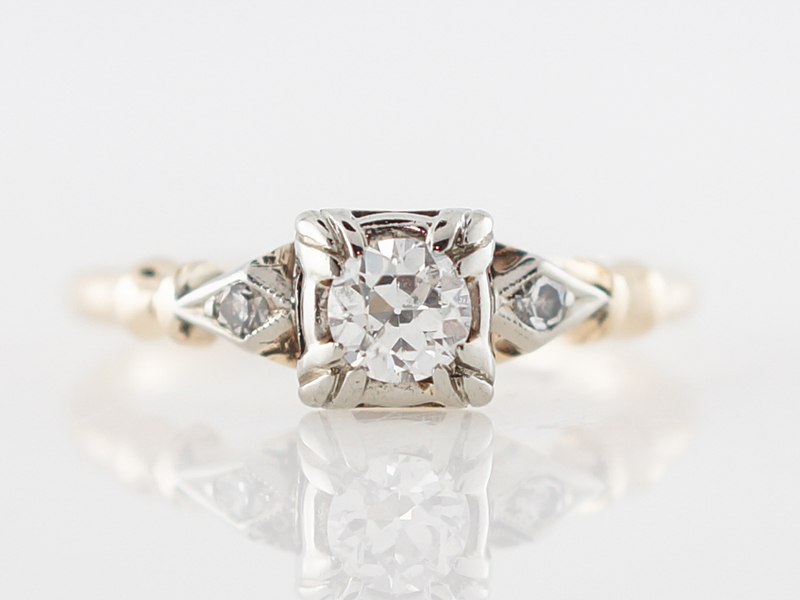 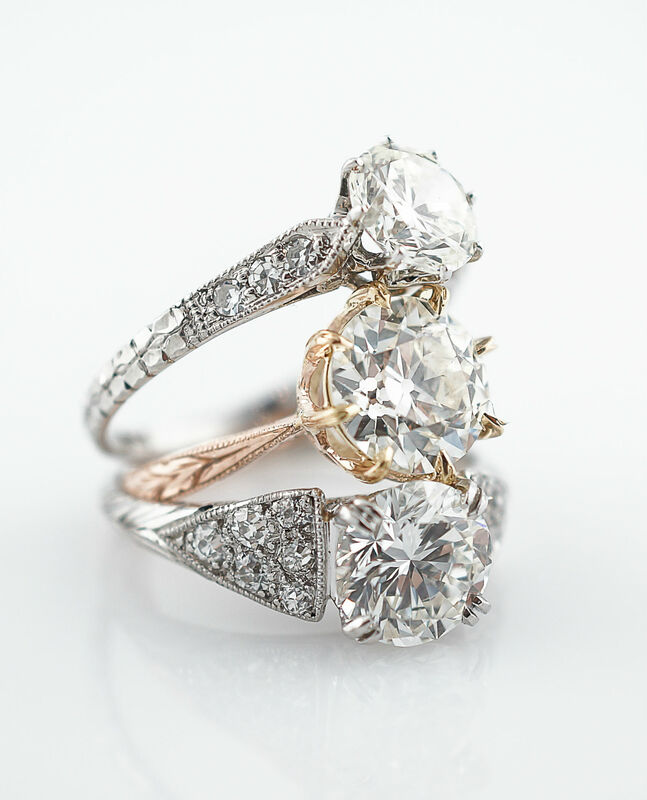 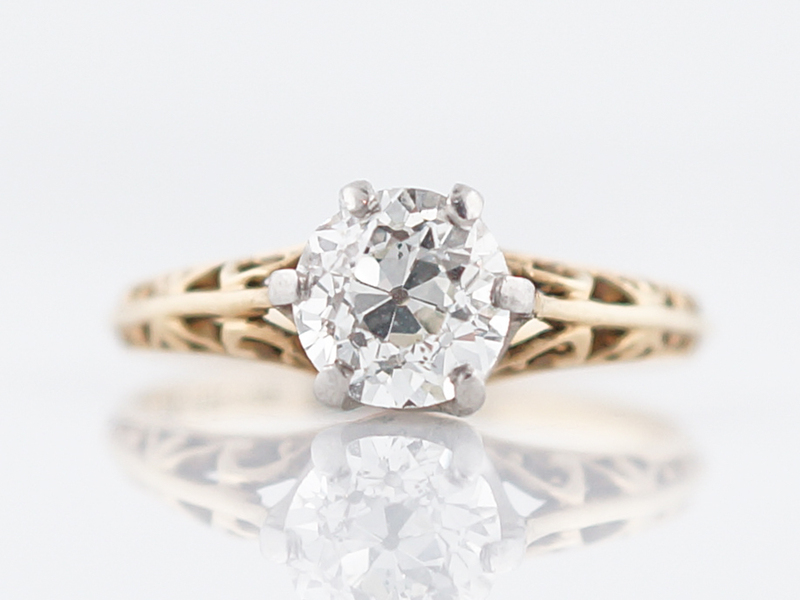 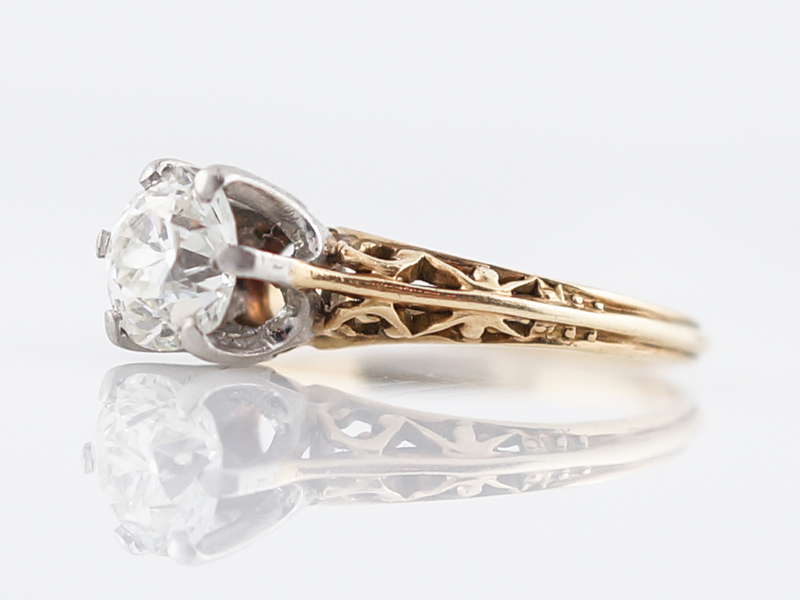 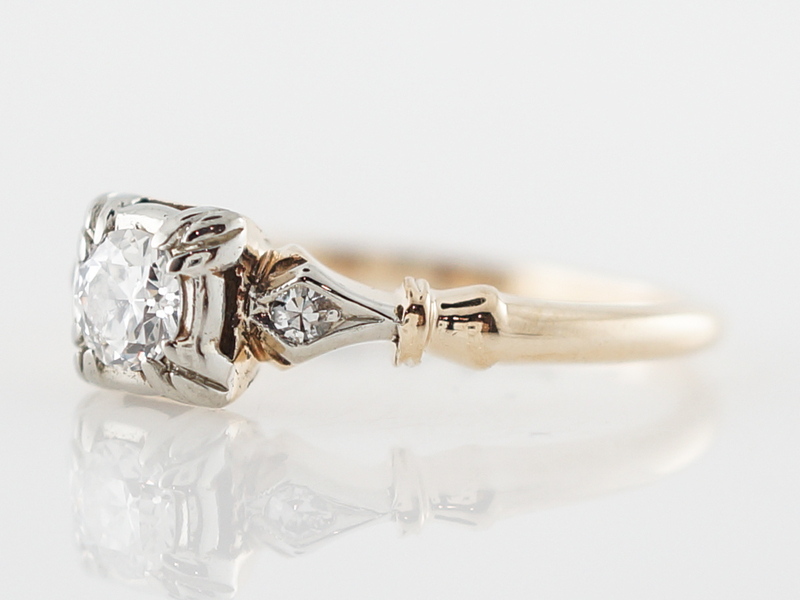 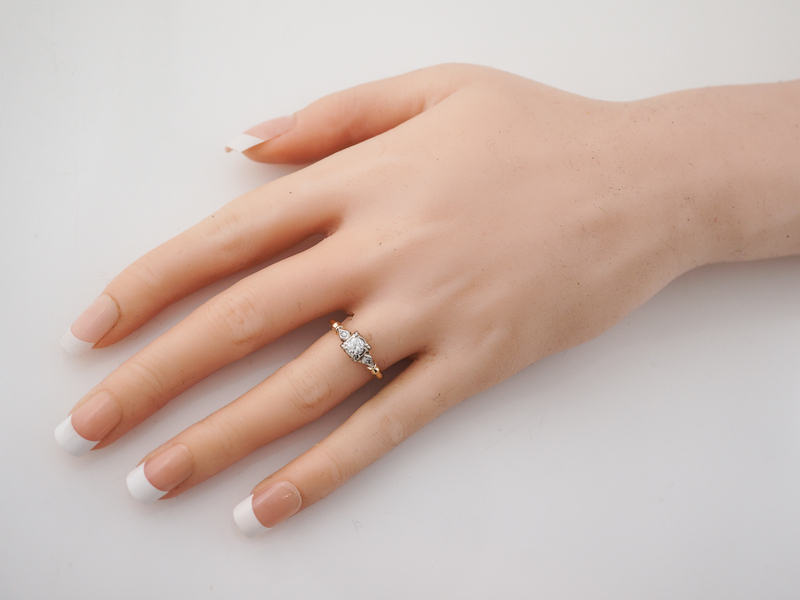 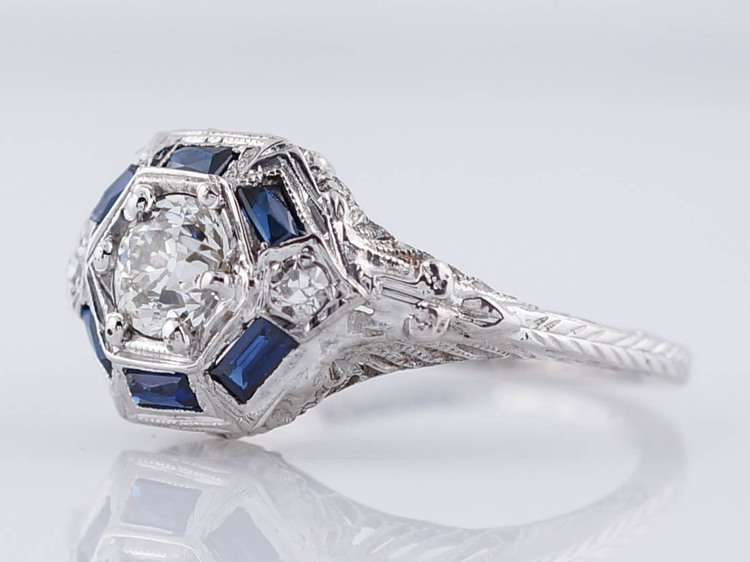 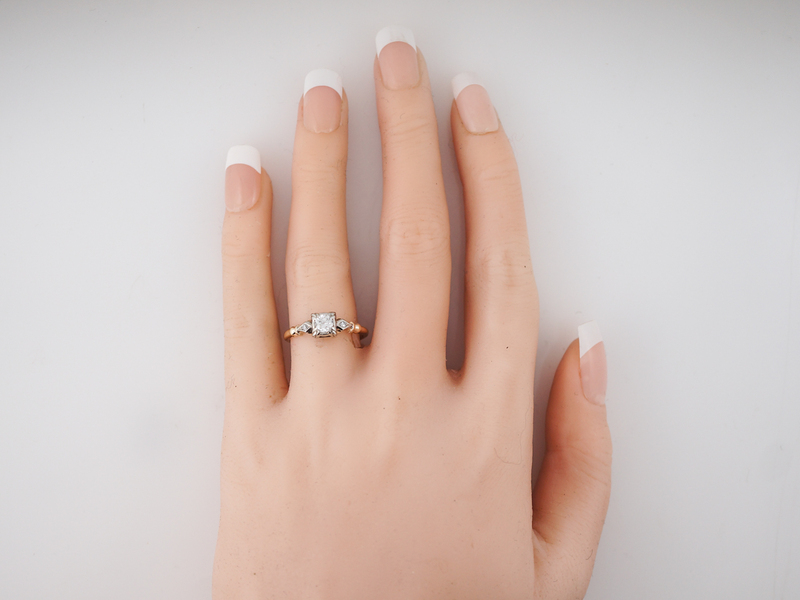 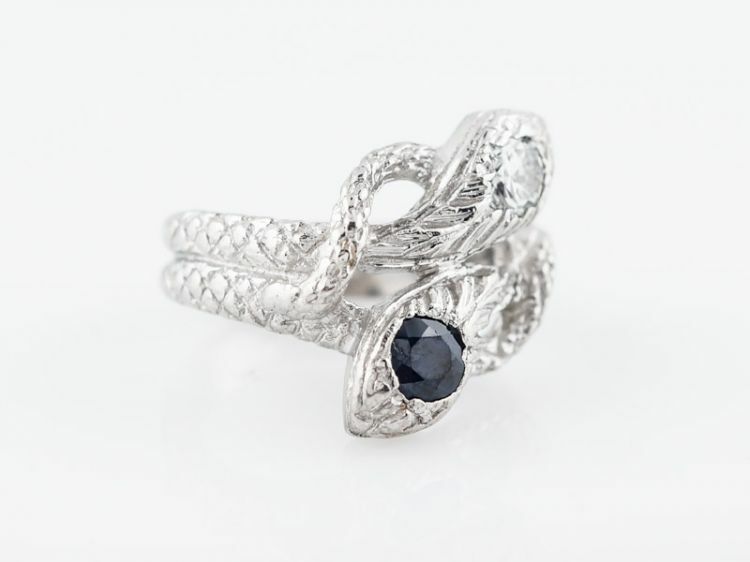 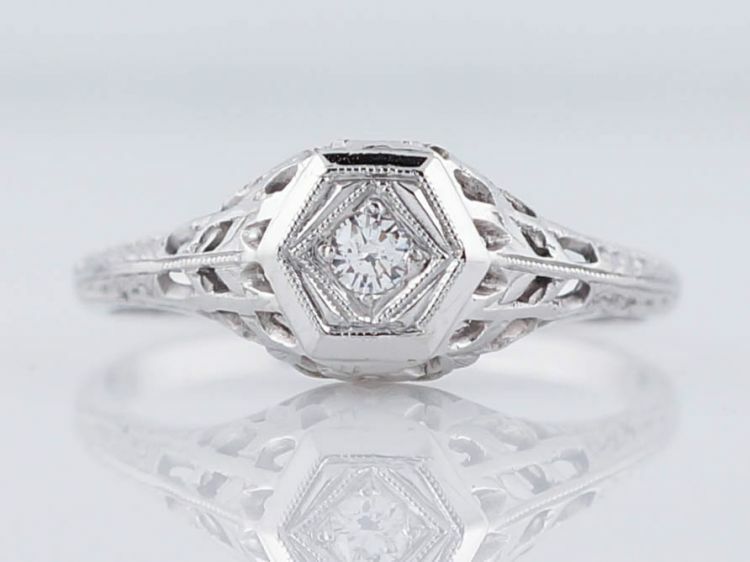 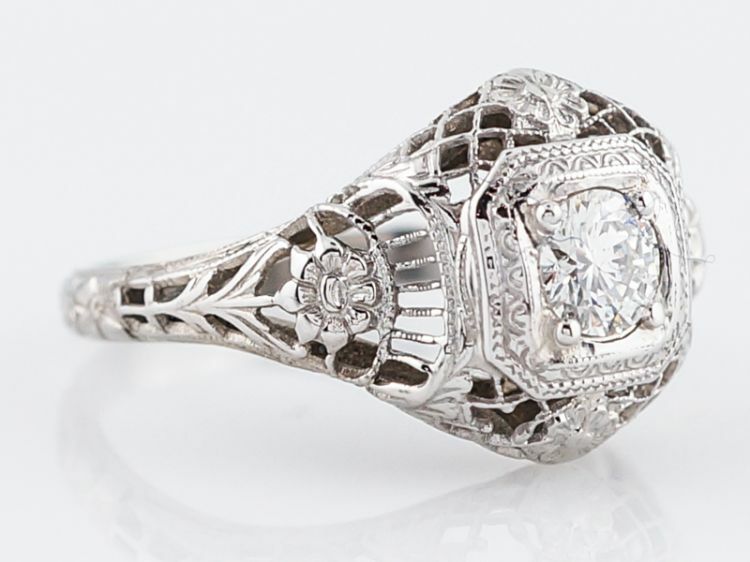 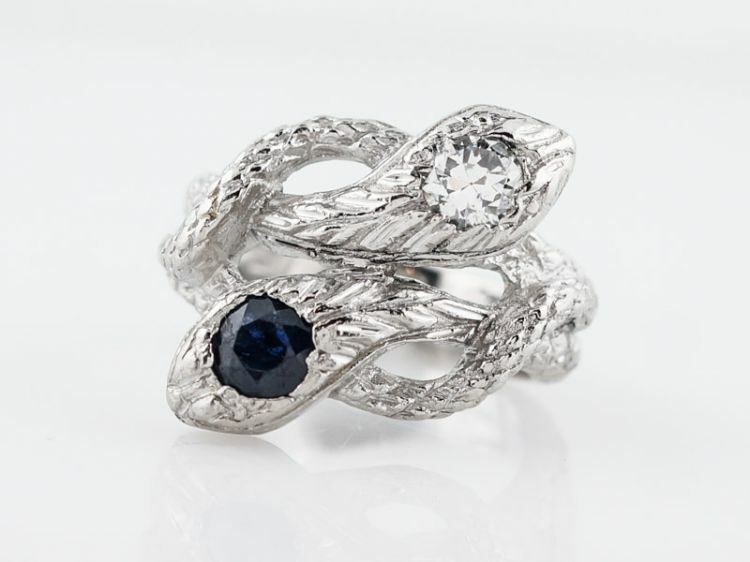 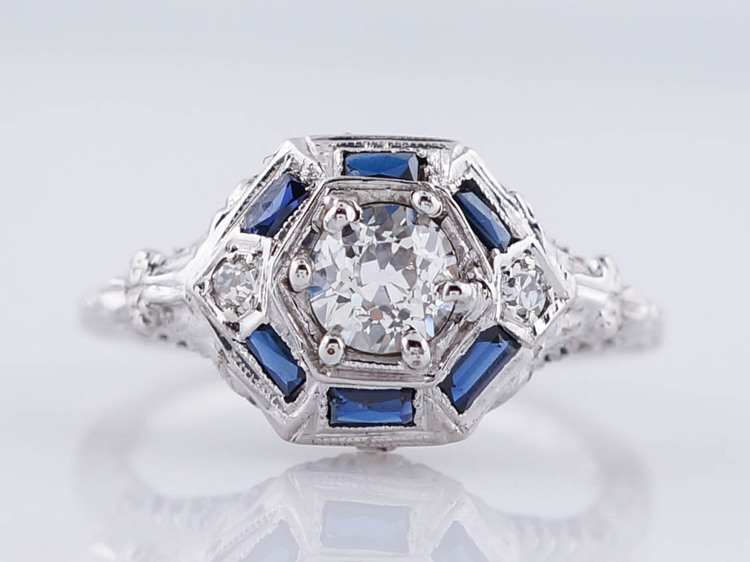 This retro engagement ring highlights lovely curves and angles.